A Detailed Process for production of Nitrous Oxide from Ammonium Nitrate. Standard Capacity Nitrous Oxide Cylinder Filling Plant for Production Nitrous Oxide from Ammonium Nitrate. 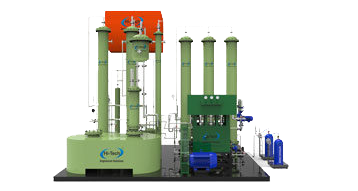 Small capacity ,Moveable type Nitrous Oxide cylinder Filling Plants for Producing Nitrous Oxide from Ammonium Nitrate.